Join us during the month of July as we introduce the BEST salesteam in the industry. Kathy and Amy (whom you will meet later) have asked moda’s talented sales team a list of questions. The first 4 questions everyone will answer, but the remaiing questions, we let them choose which onces they wanted to answer. Be sure and read along each day because some of the answers are quite entertaining. I had a customer who lived in a gated community, and I needed to drop something off to her. After having a bit of a time with the old geezer (I think he was straight out of Mayberry) at the security entrance, I finally gained access, and dropped off the item. I then hit “Home” on my GPS, and for the next hour, drove round and round and round in this huge maze that only had 2 entrances. My GPS kept telling me to turn where there was no road, just trees. I thought I had entered the twilight zone! 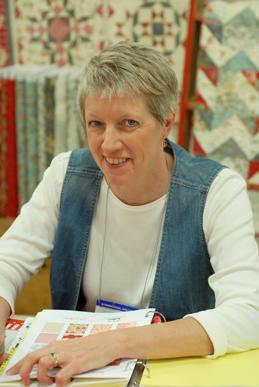 My first career (22 years) was as a pattern-maker and head of clothing design at Gotcha Covered in Dallas. We manufactured women’s casual sportswear and dresses that were garment-washed. 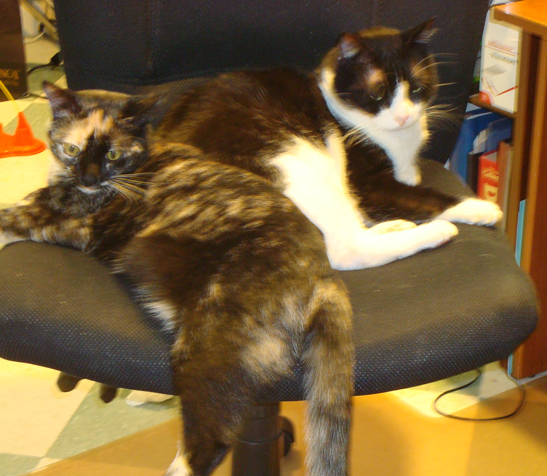 In addition to Hubby Gene, my pets are part of my beloved family. Dodger is the kitty I rescued off I-30 when he’d been hit on the road; Missy is a recent adoption from North Texas Cat Rescue. We also have Squeeky (a Manx) and Jessie (from DFW Cocker Spaniel Rescue) You will meet Gene, Jane’s husband in a future post. He is also a Moda Salesrep. What was the best thing before sliced bread? Homemade Bread, fresh from the oven! Honey, we finally have a garage! Men’s hats–besides making an ordinary guy look more attractive, they also offer sun protection. I’ve known way too many men who have had skin cancers removed from their faces and ears. Thank you for stopping by. Check back tomorrow to meet another member of the team. Previous Previous post: Mind Your Own Beeswax! What a great interview with Jane! She is the absolute best sales rep ever! Super interview! LOOOVE Miss Jane, she is fantastic to work with! We adore Jane here at Common Threads. She’s absolutely wonderful, and this interview is such a delightful example of the Jane we know and love. Enjoyed the interview, Jane, and glad to find out out the great woman behind Gene. HOller if you need any more cats!